While I was in Western New York two weeks ago to give a talk on my exhibition at the Burchfield Penney Art Center in Buffalo, I drove east to Utica to visit one of my favorite museums. 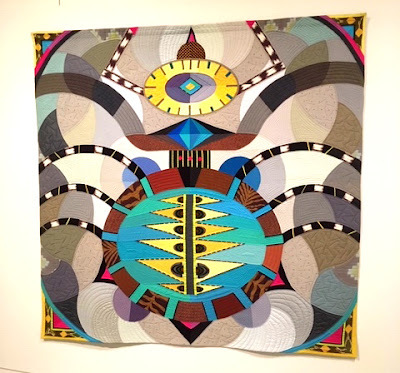 It has a powerhouse of a permanent collection. And I secretly just love saying its tongue-twisting name, the Munson Williams Proctor Arts Institute (MWPAI). 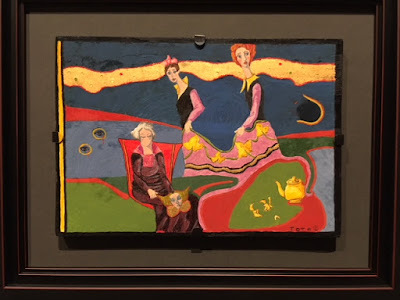 Way back in 1967, just after I'd made a serious decision to become an artist I made a visit to see its collection. 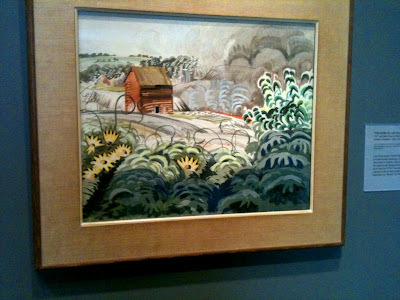 That visit planted an important seed in my mind about becoming a landscape painter.. 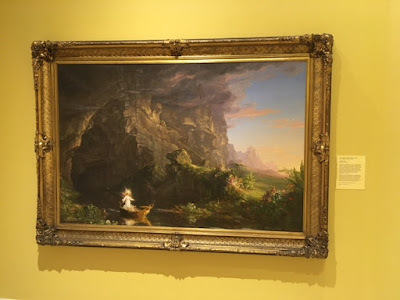 It was there I saw my first paintings by Thomas Cole, the great grandfather of American landscape painting. MWPAI has the magnificent series The Voyage of Life by Cole, a four canvas series depicting the stages of a person's life symbolized by a figure in a diminutive golden boat. 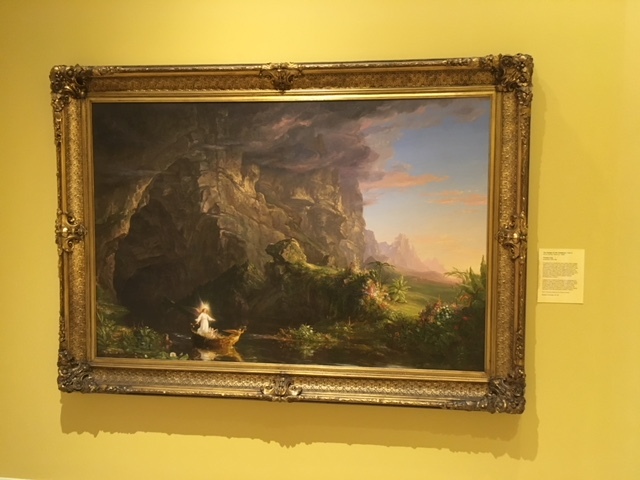 (The Museum has the original version- Cole painted the series twice with the second version landing in the National Gallery of Art in Washington, DC). 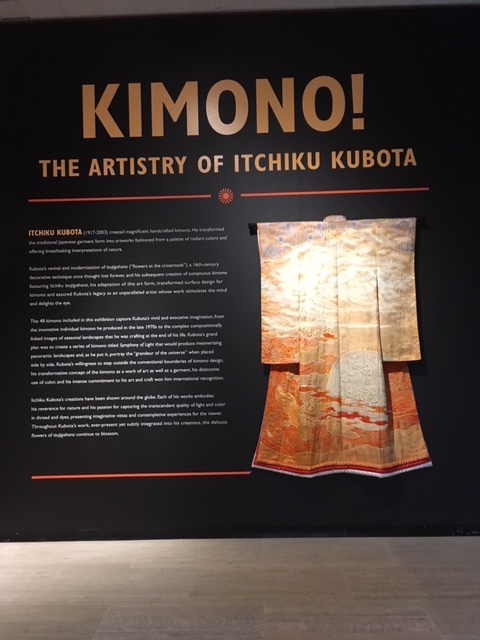 I love both versions, but the works are lovingly installed at MWPAI with delicious yellow walls and a quiet space all to themselves. 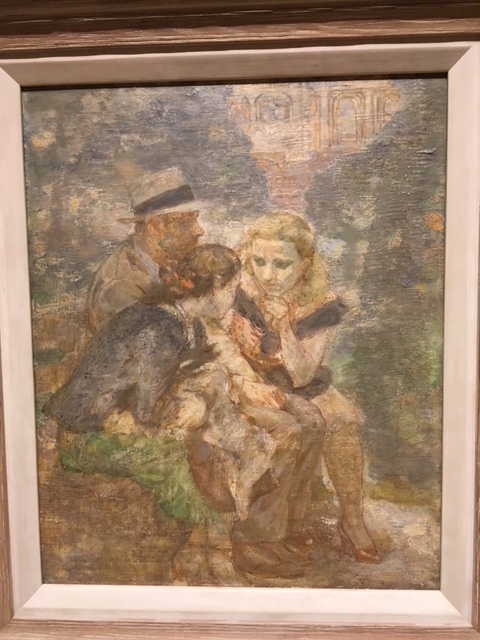 At the National Gallery they're in a busy hallway with too many distractions. If you can only see one version, I'd suggest you go to Utica. 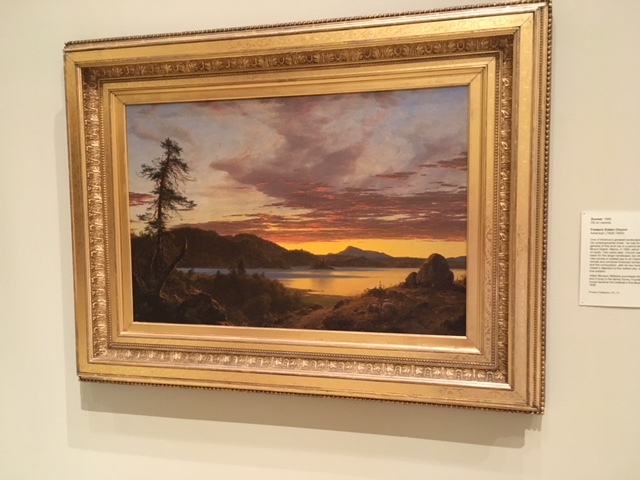 MWPAI also has a modestly sized but stirring oil by Frederic Church (Cole's first pupil), Sunset from 1856. I believe it's one of Church's very best. 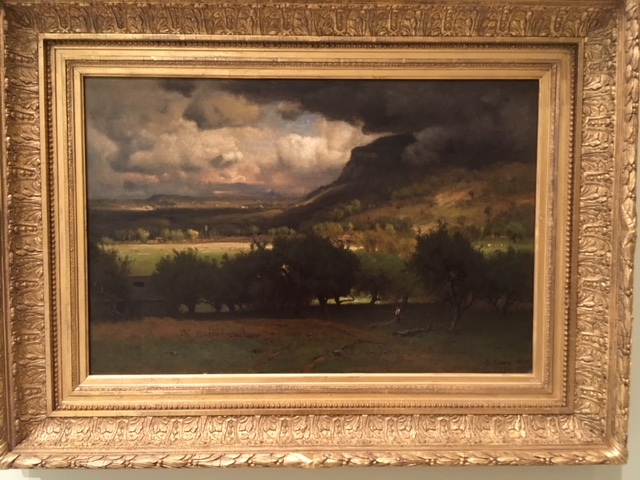 And a favorite landscape from a few years later, The Coming Storm from 1878 by George Inness. 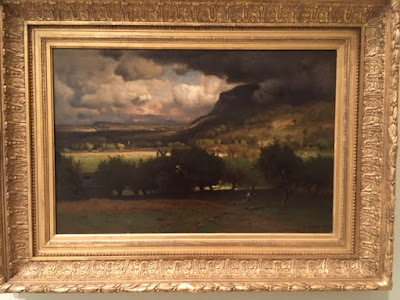 Inness manages to somehow come across as both sensitive and muscular in the same painting- you have to love it. 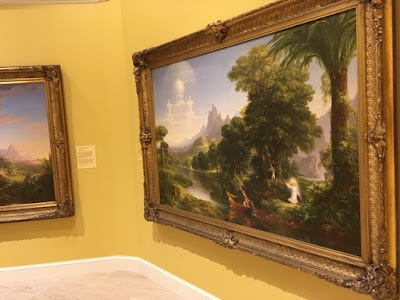 These historic American landscapes so clearly evoked how it looked and felt to be alive in the world nearly 200 years ago. 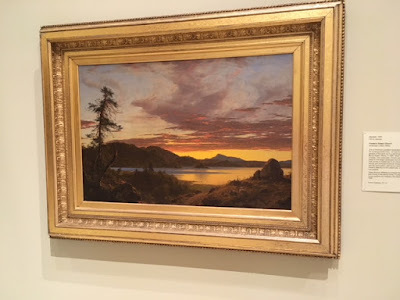 I began wondering if I could be a contemporary commentator on how the landscape speaks to us in our own time. 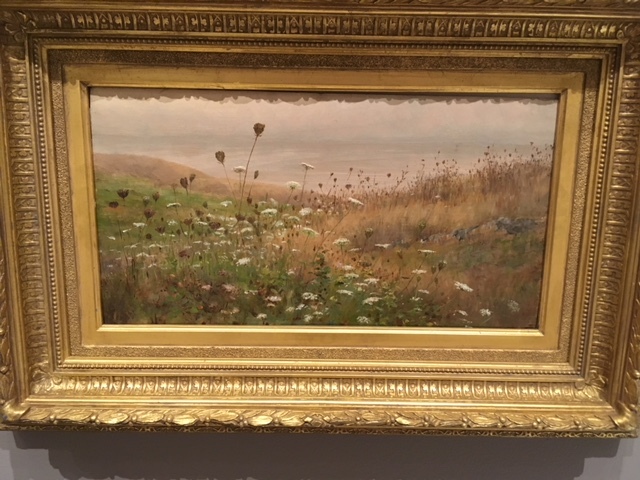 Rarely do we get to see 19th century paintings by women, yet MWPAI has a beauty with this seemingly empty field by Fidelia Bridges. 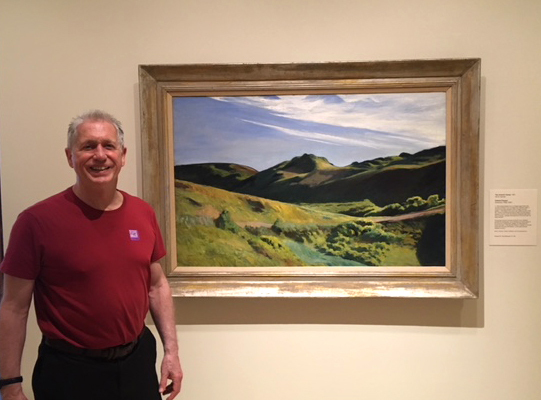 Of course the real reason I make my occasional pilgrimages by to Utica is secretly to pay homage to what I consider Edward Hopper's finest landscape painting, his triumphant The Camel's Hump. 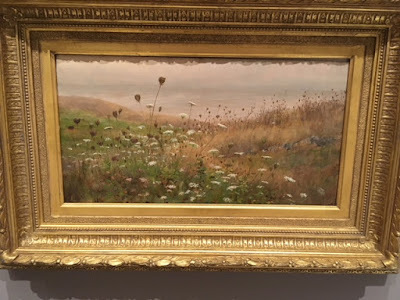 It's an oil he painted in 1931 in Truro, MA, only a few yards from the spot where he was to build the studio he and his wife Jo would live in for the next three decades. Later this Fall my wife and I will be returning for our 17th residency in that historic Hopper studio (an incredible honor for me). 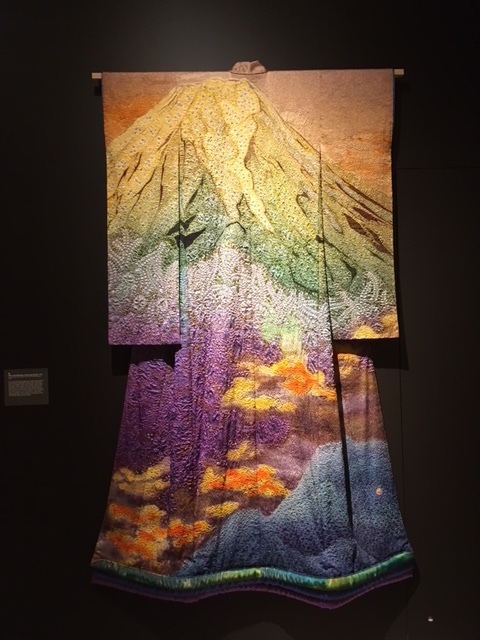 The museum also has a temporary exhibition of the work of the Japanese artist Itchikue Kubota, who revisited and re-invented what could be achieved with the forms of the traditional Japanese Kimono. Artists are supposed to show us things of importance we may have overlooked. The energetic reds contrasting the green apples in this Walt Kuhn oil hits that nail on the head perfectly. 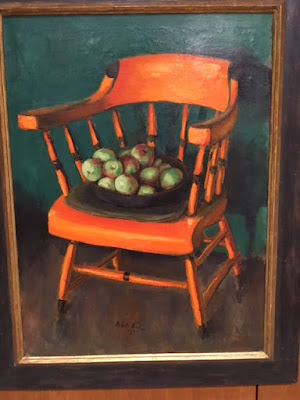 Lastly here's a painting that with it's subdued and misty colors couldn't feel more different that the brassy red chair painting above. Quiet as it is in handling and color you can feel the intensity of the figures' whispered conversation.